If your car was made after 1983, chances are your key came with what’s called a “fob,” or a “remote.” Remotes perform a variety of jobs, from unlocking the car’s doors to actually starting the motor, and it’s all done by radio frequency without the user ever touching the car or using the key. 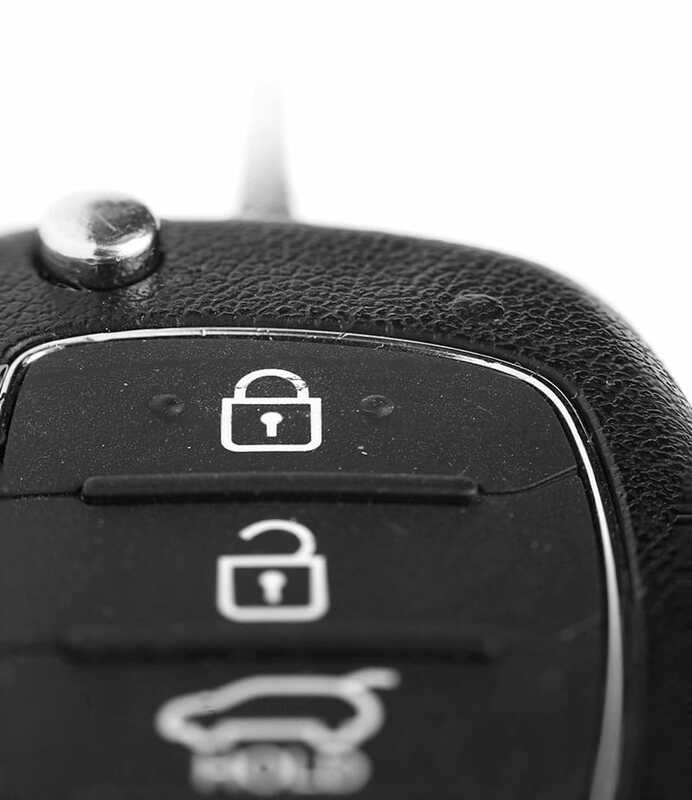 If you have an older vehicle, your remote’s only function may be to unlock the doors. In order to start the car or disable the alarm system, you have to use a key. If your vehicle is newer, however, your remote may be capable of much more. Radio frequency identification technology (RFID) allows a remote to communicate with a vehicle from as far away as 30 feet, and now every function that once required a key can be triggered at a distance by an RFID remote. Approaching drivers are able to unlock or open doors or trunks, start the car, set off a panic button, or open or close windows or sunroofs, all without ever touching the car. Taking it even one step farther are vehicles equipped with “Smart Key” or “proximity” remotes. With proximity remotes, the vehicle “senses” the approach of the driver carrying the remote and performs tasks without the driver needing to physically push a button. With constantly changing technology, it can be hard to keep up, but the security of your vehicle depends upon it. The latest in remote technology is a 2-way security system in which the vehicle sends a constant stream of information to the user’s remote as well as to a remote installed inside the vehicle. Any break-in attempts trigger an alert on the user’s remote. Regardless of what type of remote you have, Locksmith Express can repair it, replace it, or reprogram it, and that’s a guarantee!